Critical thinking is the ability to objectively analyze and evaluate complex situations. Through this process, you can expect to find clarity, enhance your understanding, detect areas for improvement and create solutions to problems. In an earlier post, I covered the benefits of keeping a swim journal which is a great way to encourage critical thinking. You can find the post here. A chance to organize thoughts – when faced with a blank canvas, these young swimmers are being challenged to make sense of what just occurred in the pool and to put marker to the paper in a more organized way. They will take the time to think about what was most meaningful to them during the lesson, and express it in their own way. Some children will use images only, others will include key words or short sentences to process the lesson. The ability to make the details of the lesson more sticky in their minds is a huge benefit of a short art exercise. A chance to process reasoning – this is a wonderful advantage of taking a few moments to document their findings in art form. I am always amazed at the maturity of the reasoning and art compared to the age appropriate swimming movements in the water. Their minds seem so far ahead of what their bodies can do, and perhaps this brief exercise in critical thinking will help the neuromuscular system develop as well. A chance to evaluate movements – before setting the marker on the page, you can see the wheels turning….. how did their bodies just move in the water where they have no visual cues? How can that be processed and then drawn out on to the page? Usually the shapes in the art work are accurate, even if the in-water movements are not quite there yet. 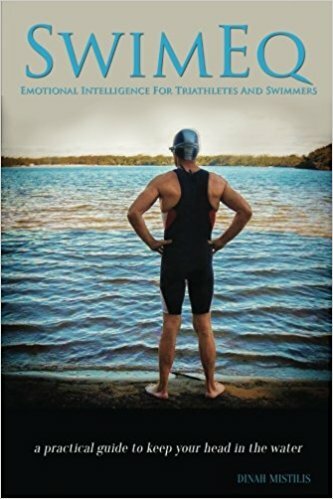 This gives the swimmer an ideal platform to strengthen correct movement pathways in their brains. A chance to communicate ideas – most times after the art is complete I ask the swimmer to tell me what they have drawn. The little extra verbal interaction takes another step in their minds to communicate their ideas behind swimming. 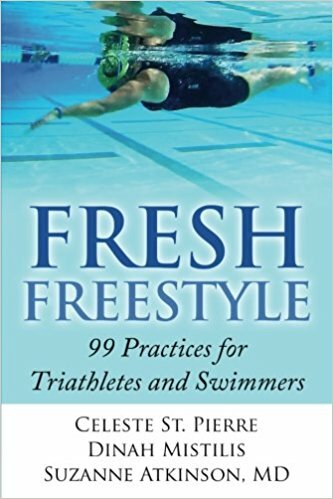 My favorite part is the the usual age appropriate additions to the swimming art – from animals to other family members to added thought bubbles with written text – whatever is important to them to go along with their swim analysis. A great way to enhance understanding and express ideas in their own pictures and words. 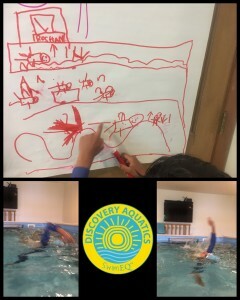 In this illustration from a 5 year old swimmer, he expresses the shapes of his freestyle recovery arm versus his backstroke recovery arm. There are also up and down arrows which he verbally explained were the relationship of head and hips in the strokes. He is one happy young swimmer when he gets to top off the lesson with some free drawing! I am one happy coach to use the exercise to develop critical thinking. I encourage swimmers of all ages to try it…see what happens! When looking to buy a wetsuit the choices can be overwhelming. Here are some questions and a handy printable that will guide you through the purchasing process. What body of water will you be swimming in most often? What water temperature will you be swimming in most often? What distance will you be swimming most often and how long does that take you? How often do you anticipate using a wetsuit? What are your personal body temperature guidelines – tend to be cold? Get hot? Will you wear the wetsuit for warmth or comfort from buoyancy, or both? Will you be wearing the wetsuit to provide coverage from marine life such as stinging jellyfish? Do you get a feeling of claustrophobia easily and is it severe enough to cause breathing difficulty? Take your measurements and have a look at the size charts for some wetsuit companies – do you fit comfortably within a size? Or are you on the edge of sizing in a particular brand? Do you need to have the latest model or could you be happy with a closeout on an older model? Do you need to have a brand new wetsuit or could you be happy with a used wetsuit? Can you rent a wetsuit or borrow one from a friend? Does the wetsuit comply with regulations for your races? Do you have a local store to try on any brands and models? Will you be ordering online? What is the return policy of the online store? How is their customer service rated? Look at the quality of the neoprene and the features of the suit relative to the price (type and quality of neoprene, one piece panels or smaller sections of neoprene, distributions of neoprene throughout the suit, seam construction, zip features, neck line etc) – what is the best choice for you? Could you use other means to retain body heat – earplugs, neoprene cap, gloves, booties, neoprene sleeves? Once you have a wetsuit, the next step is heading to the Discovery Aquatics studio for a comprehensive swim technique review to see how to get the most out of your wetsuit swim!